Into a mixing bowl add the lettuce, celery, pear, parmesan, walnuts, olive oil, lemon juice and a pinch of salt and pepper. Toss to combine, before dividing between two serving plates. Place a frypan over high heat. Once hot, add the butter, scallops, and a pinch of salt. Cook the scallops for 1 minute on each side before removing from the pan. 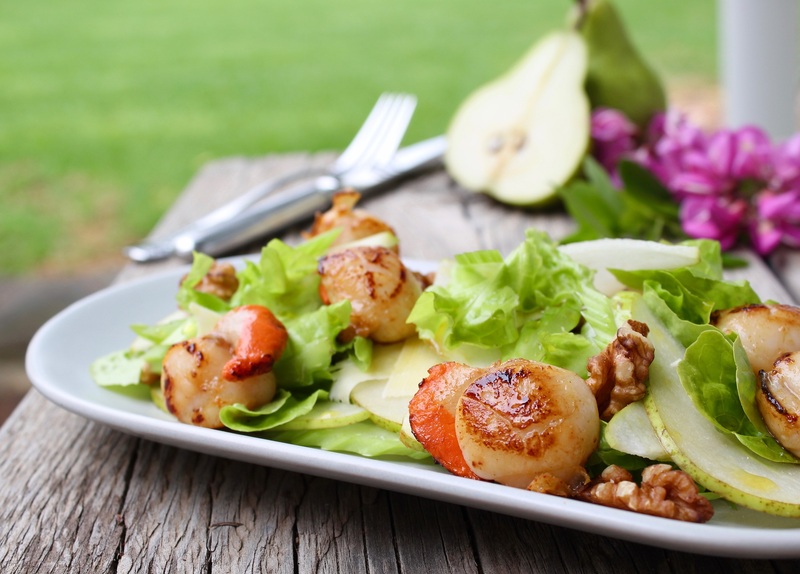 Place the scallops on top of the salad to serve.